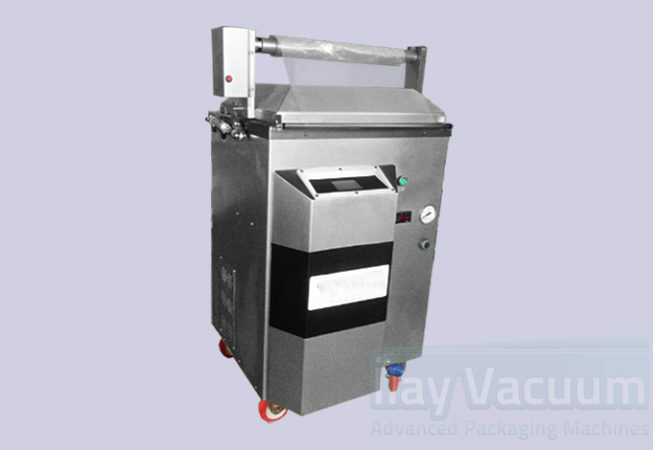 Powerful vacuum pump and engine. German Becker or Italian DVP. Siemens and Schneider are used in pneumatic and electrical materials. 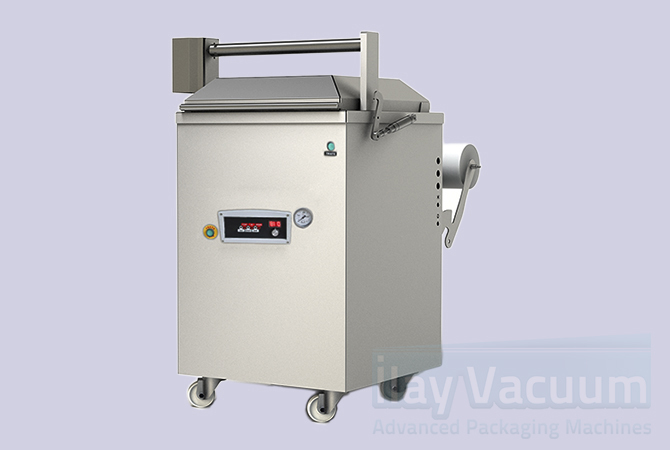 Since it has two containers, it will accelerate the packaging time of the product. 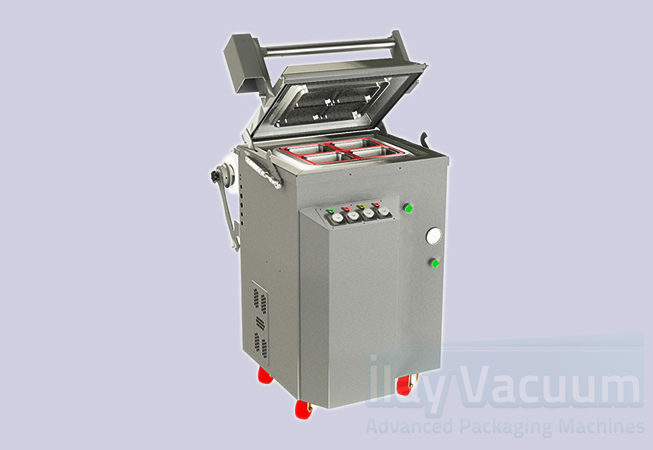 Apart from the standard mold of the model, two separate additional molds are provided. 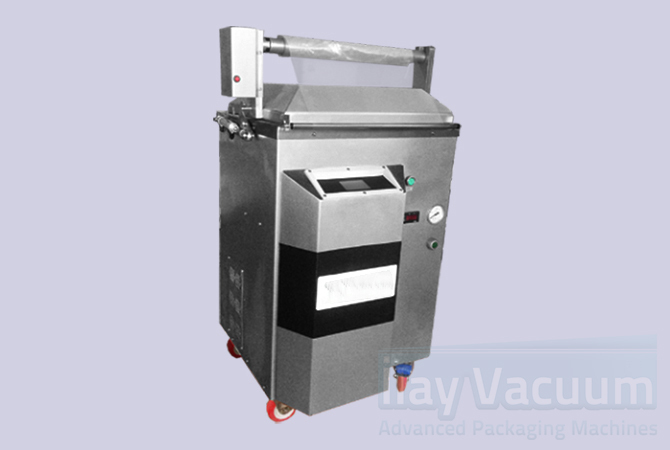 Our model has two separate and three separate bowls for vacuum and packaging. 5 molds in total. 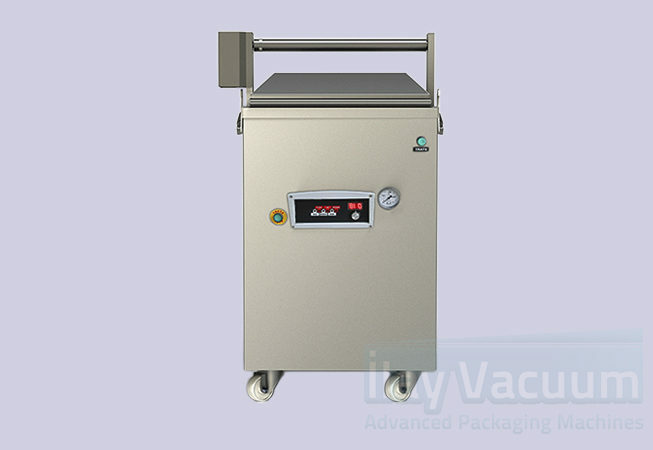 The capacity of the model is from 100 grams to 5 kilograms in vacuum (Standard type). As a protective nitrogen gas (M.A.P.) the gas unit is integrated into the model. Our model can be designed as different molds according to customer’s wishes and desires. The most important thing is that the product remains fresh in its own flavor and extends the shelf life. In our model, there are mold shapes which can be adapted according to customer’s wishes and desires. 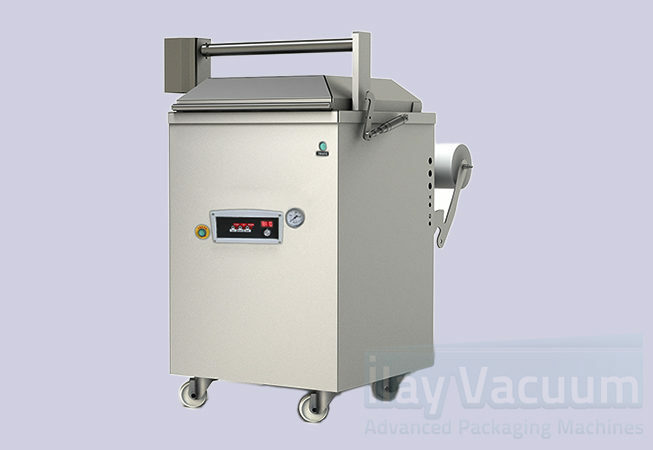 Automatic system foil wrapping is available. Sea products, Meat products, Dairy products such as baklava olives.